Please find our students and faculty accomplishing and engaging in some noteworthy activities. 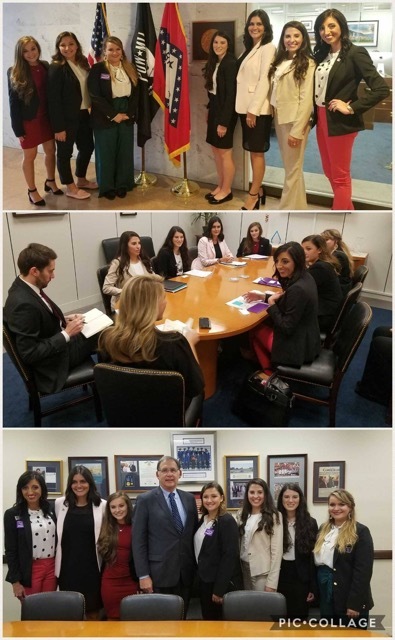 2nd year UCA OTD students gearing up for a day on Capital Hill in Washington, D.C. advocating for OT! “Don’t be afraid to make the ask. 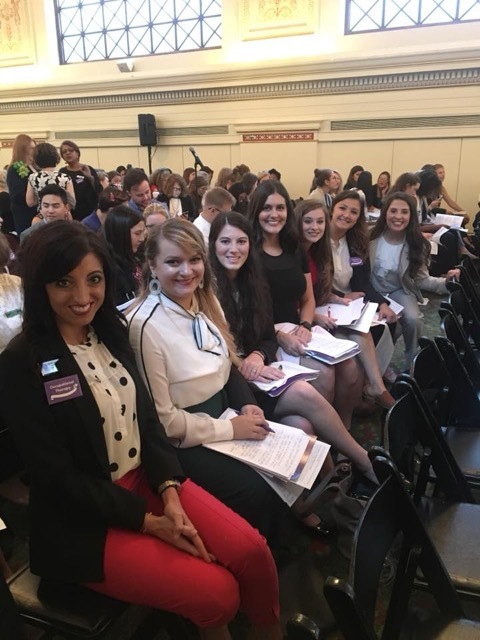 Without asking, the answer will always be ‘no.” On Monday, October 1st, Mrs. Saviers and six 2nd year OTD students joined over 500 of their colleagues to advocate for occupational therapy on Capitol Hill. They advocated for issues influencing OT & healthcare, such as more robust funding for IDEA, the role of OT as a non-pharm. alternative to pain management in the opioid crisis, & the need for OT’s to open home health cases. They were able to meet with both Arkansas Senators and all 4 State Representatives from the state’s 4 congressional districts! We are very proud and thank this group for representing UCA, Arkansas, and the profession! 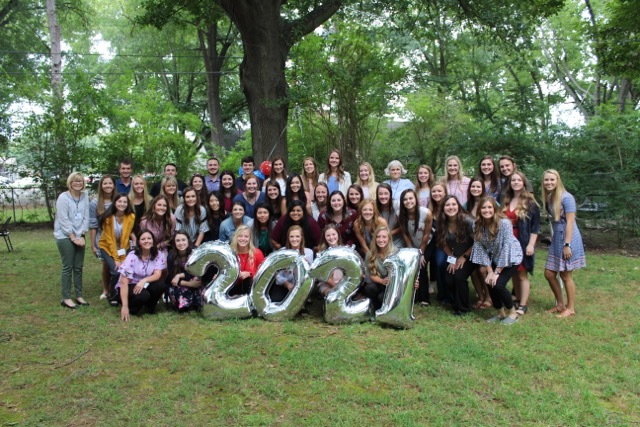 A huge shout-out to the supporters who helped get our students to DC, including the Arkansas Occupational Therapy Association, Arkansas Down Syndrome Association (ADSA), & FirstStep Arkansas! Hill Day Stats 2018: 124 OT’s, 10 OTA’s, 359 OT students, 43 OTA students, 39 states and 2 territories. 52 schools. a lot more to go, but we know they will continue to make us proud. Read it here first! Nibs, our favorite occupational therapy facility dog, is featured in an article in the Advertising Supplement to The River Valley & Ozark Edition of the Arkansas Democrat-Gazette; published on Sunday, July 22, 2018. 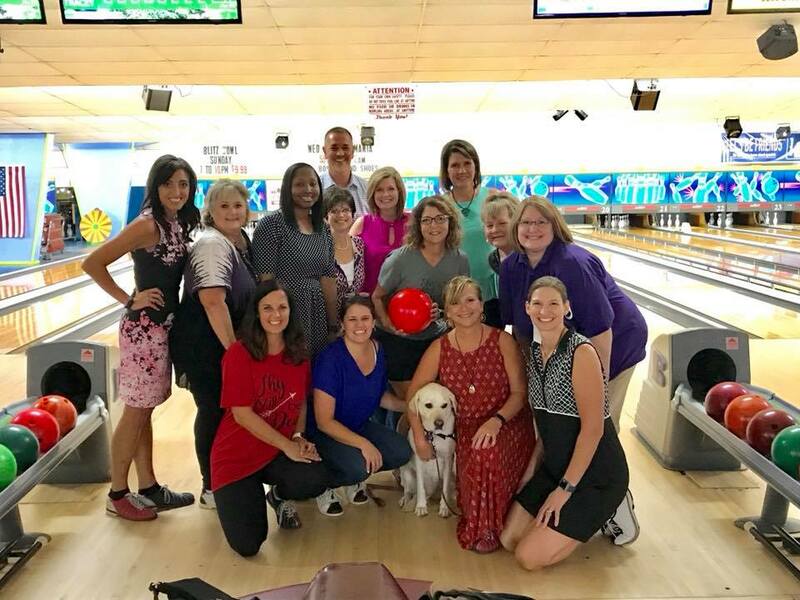 OT faculty and staff enjoyed some occupational engagement before classes officially start. 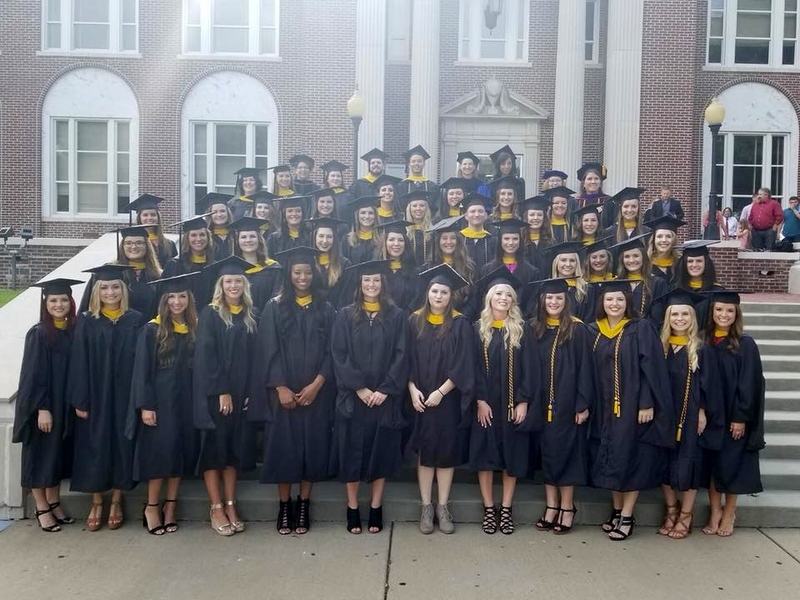 We are so proud of our 2018 Occupational Therapy Graduates! Faculty and staff take a moment out of their busy days to smile for the camera. UCA OT students taking advantage of some outdoor activity! Dr. Tracey Zeiner enjoying the conference. networking, good food, and sightseeing! We also ran into some UCA alumni doing great things! See you all in New Orleans for AOTA 2019! 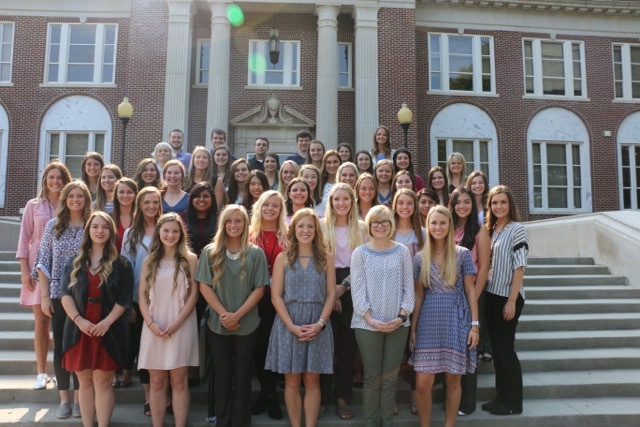 Congratulations to all of the faculty and students who presented at the Annual American Occupational Therapy Association Conference in Salt Lake City in April! Dr. Elizabeth LeQuieu and Mrs. Brittany Saviers…Go Bears! LeQuieu, E. D., Moore, J. A., Traywick, L. (2018). Exploring how inadequate health literacy may threaten best practice. American Occupational Therapy Association Annual Conference, Salt Lake City, UT. Lin, S., Langan, J., Rowe, V.T., Bosch, P., and Fasoli, S. (2018). Utilization of Outcome Measures in Stroke Rehabilitation by Occupational and Physical Therapists. Poster presented at the American Occupational Therapy Association national conference in Salt Lake City, Utah. April 19, 2018. Menon, A., Rowe, V.T., and Neville, M., (2018). Designing a Knowledge Translation Intervention for Implementing Task-Oriented Training Programs for Clients Post Stroke. Workshop presented at the American Occupational Therapy Association national conference in Salt Lake City, Utah. April 22, 2018. Spence, A., Hollenbeck, J., Mankey, T., Rudd, L. & Carroll, T. (2018). Supporting Student Success through Occupation-Centered Assessment from K to 21, 3-hour workshop, American Occupational Therapy Association, Salt Lake City, UT. A great group representing UCA OT gathered this morning for the Moix Memorial 5K for Pancreatic Cancer in honor of our teacher, friend, and colleague, Dr. Letha Mosley. Dr. LaVona Traywick was presented the Service Learning Faculty of the Year Award 2017-2018 on Monday, April 23rd! Congratulations LaVona! Congratulations to Dr. Veronica Rowe! She was awarded Distinguished Fellow of the National Academy of Practice – Occupational Therapy Academy. We are very proud of her accomplishment! We are very proud of Dr. Lorrie George-Paschal who was a finalist for the 2018 UCA Faculty Excellence Award for Public Service. The UCA OT Department is lucky to have her! Congratulations, Dr. Paschal! UCA OT Alumni was highlighted by his employer! We recall Calvin Jones sharing his “why” in OT school and are proud to watch him share it with others as a practitioner! It doesn’t get much better! Way to go Calvin! Way to go UCA OT! Mrs. LaTisha Standokes, OT Program Advisor coordinated with the Students for Pre-Occupational Therapy (SPOT) and the Student Occupational Therapy Association (SOTA) to sponsor Mock Interviews at UCA on Saturday, February 10th! Current ​SOTA members shared about professional dress vs. business casual, and gave tips on interviewing. Each participant engaged in a group interview with typical interview questions​ and​ received specific suggestions based on how they performed in their interview. Shared from AOTA: As of this morning, the therapy cap is officially repealed! Your clients will get therapy based on medical necessity, not an arbitrary $$$ amount. A huge win for Medicare beneficiaries! Thank you for your 20 years of advocacy! From Business Insider … OT is #4! According to the report, the best jobs in 2018 are highly-skilled; can be found in almost every industry; have high earning potential, hiring demand, and job satisfaction; and are staying ahead of the growing trend toward workplace automation. “The key skills that are helping workers stay ahead of automation are creativity, judgment, and flexibility,” Dr. Andrew Chamberlain, Glassdoor’s chief economist, said. 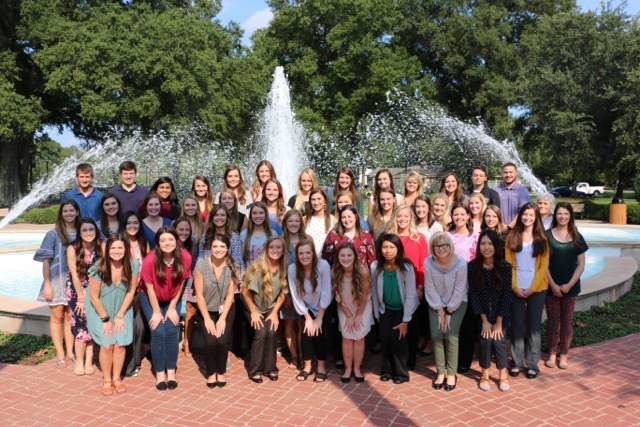 Congratulations UCA OT and other 2017-2018 AOTA Student Membership Circle academic programs that have reached Gold, Silver, and Bronze levels of AOTA student membership! Gold-level programs have achieved 100% student membership; silver-level programs have achieved 80% membership; and bronze-level programs have achieved 75% membership. Dr. Veronica Rowe has been elected as a Distinguished Fellowship of the National Academies of Practice in Occupational Therapy. The induction will be held in Atlanta at the Annual Meeting & Forum and formal induction ceremony in April of this year. Congratulations and WELCOME, Dr Tracey Zeiner! Not only are our OT students intelligent and full of compassion for others; they are full of holiday spirit, too!! Taking a break for a Tacky Holiday Sweater Party is always a good idea! Games, sweater contest, treats, and carols! Happy Holidays from the UCA OT Department!